The end of the year is here. SCFL Fire Pro Wrestling World ends 2018 with its annual “all titles on the line” show, and now, with little to no buildup, many things are coming to a head, with the highest of stakes. And for the first time ever, we know we’re going international as the SCFL hosts a famed “mask vs. mask” match. So much is happening. The Shadow Realm looms, the Supremes are on the ropes, and every. title. is. on. the. line. 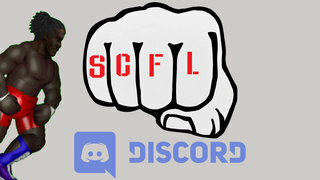 SCFL Pro 1.6.19: We’re Not Really Sure?